Orewa Estuary – Residents (many of them elderly) worried by the implications. The Council has placed Purple Dots over many Orewa Estuary properties, impacting all properties touched by them or within a 50m radius. What possible grounds could there be? The inter-tribal wars in the 18th and early 19th century had eliminated or frightened-off most, if not all, Maori from the local area. Orewa was part of a large land purchase by the Crown in 1874, called The Mahurangi Purchase. This was a wide strip of coastal land from Te Arai right down to Takapuna. The Sale and Payment is well recorded in a Turton Deed. So from 1874, Maori had no particular interest in the area. Most of the land was distributed by Crown Grants in the later 1800s to farming settlers. Orewa land was granted to a John Moffat and Moffat Farm existed until subdivision in the early 1950s. Many of John Moffat’s descendants live locally. Since subdivision, there’s been a 20m Esplanade Reserve along the river. 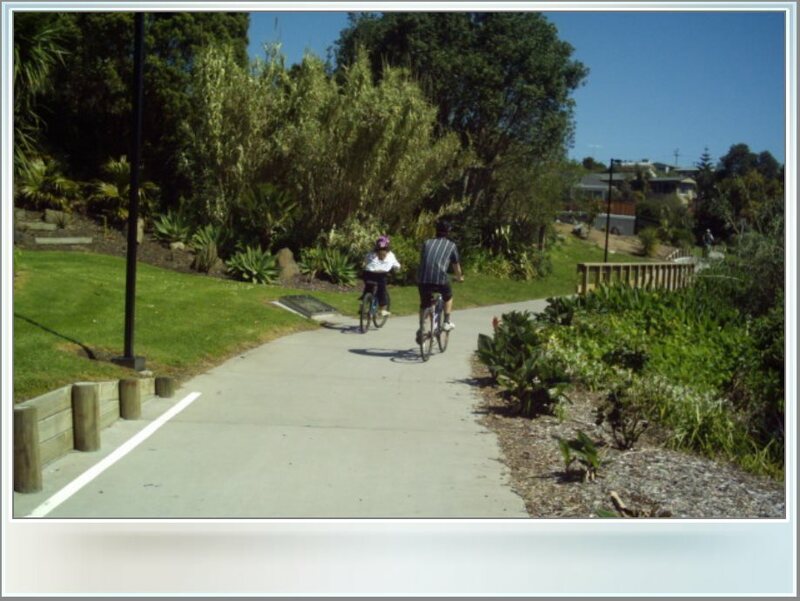 It was left in its natural state until a 7.6km, 2m-wide concrete cycle/walkway was developed a few years ago. A couple of pipi or cockle shells rubbish areas have been glassed-over, to the bemusement of any curious passersby. So the area had animals farmed on it for 75 years and the public enjoying various recreations there for the last 63 years. It seems a bit late and a bit ludicrous to start imposing archeological controls now. It is certainly very wrong to impose onerous designations on surrounding private properties.